Can't a girl have any privacy!? Anyway, this is a nice rest area on I20, just out of Texas, exit 3, for Greenwood. 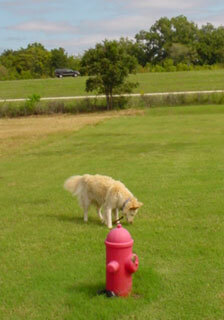 Who do they think they are fooling with this plastic fire hydrant at the rest area and information center at exit 94 on I49? 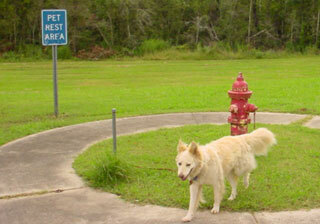 This pet rest area at mile post 35 on I49 must often be a little soggy. In addition to the real fire hydrant there are shelters with tables and water.